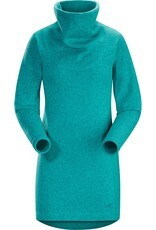 The Arc'Teryx Women's Desira Tunic is a long sweater for remaining cozy on chilly days. 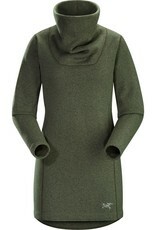 This long tunic is wool sweater in appearance but technical fleece in function. 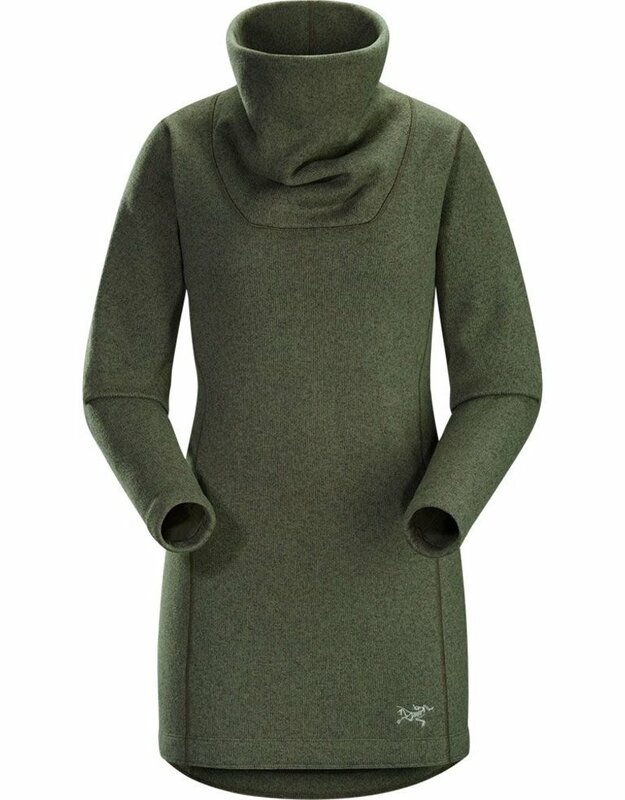 The Alpenex Heathered ô, 100% polyester fabric is warm and soft and just the right look for fall days at the orchard. 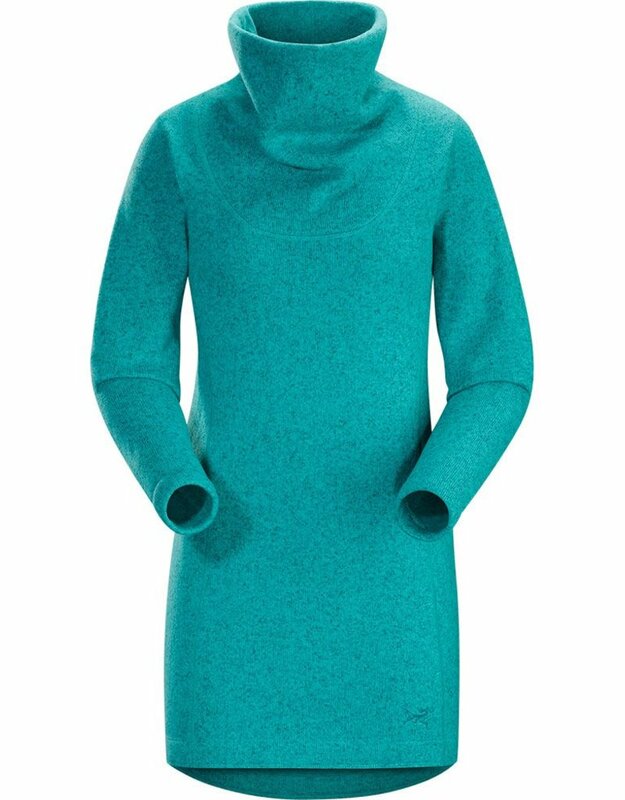 Pair with leggings or maybe some jeans and don't forget your favorite boots to finish off the outfit and the tall funnel neck will snuggle close for warmth. Cider, donuts, and a smile is all you'll need to complete the day.